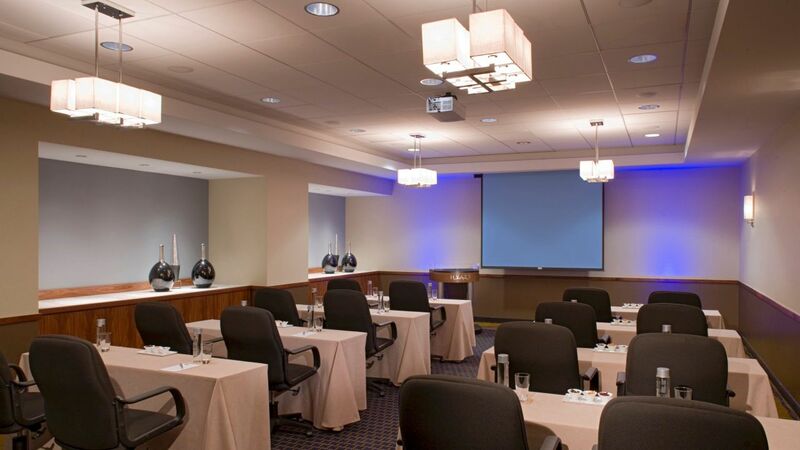 Meeting and conference planners alike rave about hosting events in New Brunswick at our conveniently located hotel. 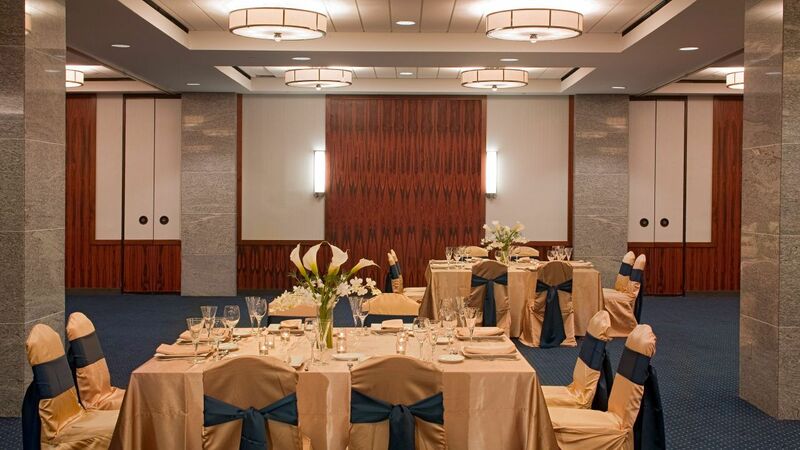 Known as a premier conference center in northeast New Jersey, Hyatt Regency New Brunswick’s dedicated venues offer state-of-the-art technologies that make our hotel the perfect choice for your convention, wedding or special event. Take advantage of 33,000 square feet of flexible rooms that can be designed in a variety of set-ups like boardroom, training, theater and classroom style. Culinary excellence and professional planning services, combined with a wealth of center city entertainment, shopping, dining and cultural activities, offer memorable guest experiences during their stay. Our expert catering team will create an appetizing menu featuring thoughtfully sourced and carefully served cuisine that will assuredly please your guests. From planning your menu and hand selecting wine to well thought-out itineraries, we will create memories to last a lifetime. Make sure your function is remembered for all the right reasons. Host hotel for many of New Jersey’s premier gala events, you’re assured impeccable service, elegant venues and creative cuisine when you choose Hyatt Regency New Brunswick. 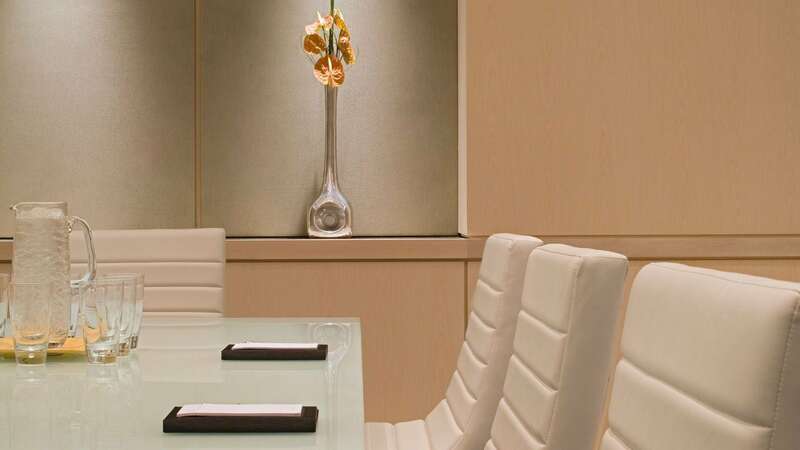 Our meeting facilities offer a variety of spaces to suit your needs ensuring that your guests will enjoy the best experience possible. 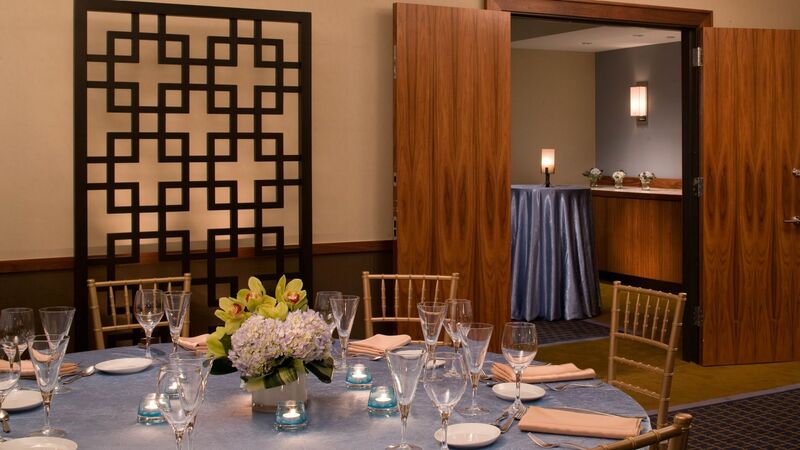 Host the romantic wedding you envision at Hyatt Regency New Brunswick. 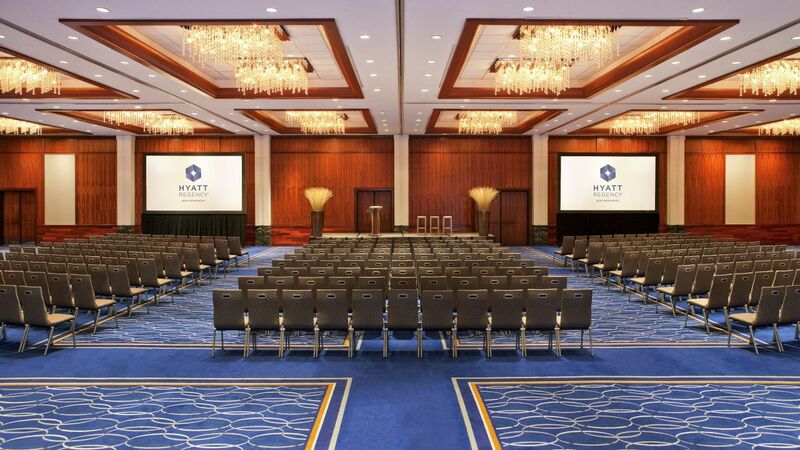 Successful meetings are assured when you choose Hyatt Regency New Brunswick. 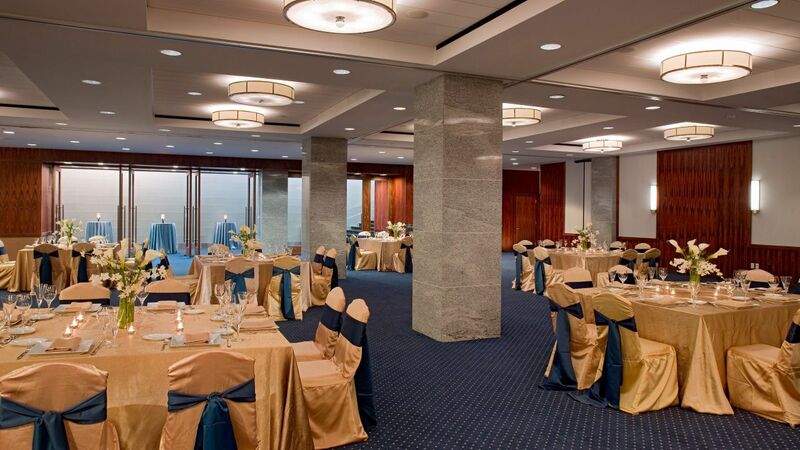 Turn to Hyatt Regency New Brunswick for innovative on-site and off-premise catering and event planning. 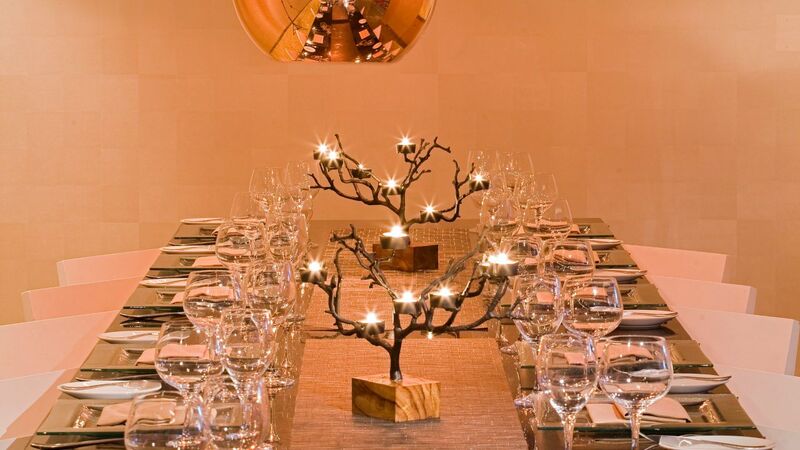 Exceptional catering services and creative culinary cuisine are integral elements of all great events. 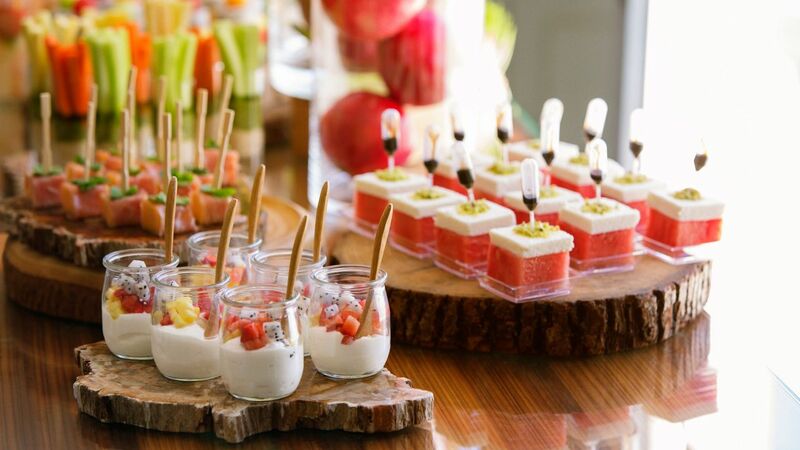 Experience the best catering with Hyatt Regency New Brunswick’s distinctive flair and delicious cuisine. From the simplicity of afternoon snack breaks to formal white glove service, our premier banquet facilities provide the perfect setting whether you require seating for 8 or for 800. Allow our professional caterers to design a menu that will delight your guests and reflect the tone you want to set for your event. Create your own menu with the assistance of our catering staff or let your guests decide what they'd like with our Personal Preference Dining® service, which allows guests to select their entrée tableside.